One of our clients is a famous manufacturer in electronics with a worldwide presence. Goals are to optimize the soldering process from manual to automated process. In the current process, the wires are soldered onto the PCB board by operators. The client wants to offer a safer environment for his operators and want to increase the throughput and quality of the production process at the same time. The use of the robotics solution makes the client able to re-deploy his staff for other production activities. Our client started to research what are the latest innovations and technology. The FAS solution team offers consultation to translate the customer requirements into the solution and selected the latest technology that is able to integrate with the current production process. After onsite survey and testing, the solutions matched the requirements and the client authorized FAS to implement the solution. The FAS solution team unburden the customer by consultation and will take responsibility for the overall project implementation. The planning for the project execution is in close cooperation with the customer project team to avoid any possibility of disturbing the production process. After the implementation FAS will provide training for the operators and maintenance engineers for optimum performance. 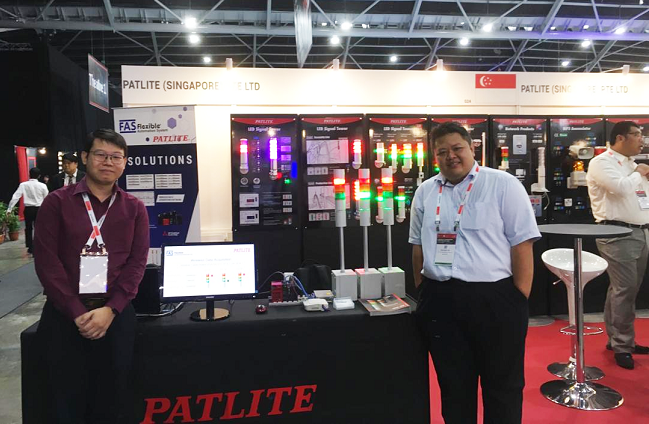 During the fair Industrial Transformation Asia-Pacific held in Singapore from 16-18 October Flexible Automation System was invited to demonstrate the IIoT platform in combination with the PATLITE Wireless Data Acquisition System. Flexible Automation System developed the IIoT platform based on the PATLITE Wireless Data Acquisition System that is able to collect, process and store the real-time data to help the manufacturer to digitize the production information and deliver real-time monitoring of the production availability. PATLITE is a leading provider of innovative visual and audible communication systems and solutions which enhance the safety, security and comfort of workplaces and communities. Necessary tools to indicate the real-time status of your production. The next generation signal tower line featuring cutting-edge technology with wireless transmission to avoid any wiring and cabling. IIoT in the Factory! 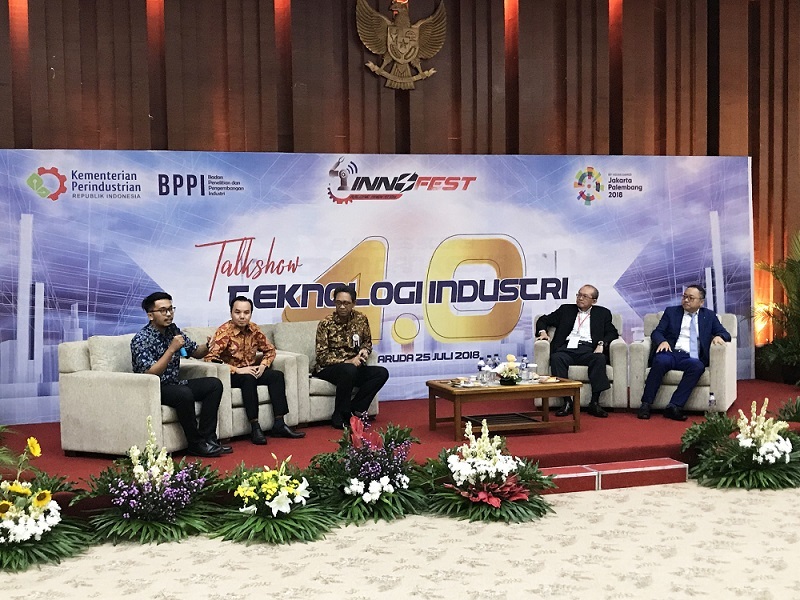 The Indonesia Ministry of Industry (MOI) launched an Industry 4.0 roadmap on 2018, with the aim of revitalising the manufacturing sector with focus on five key sectors –F & B, automotive, chemicals, electronics and textile & garment. Enterprise Singapore is cooperating with the Indonesia Ministry of Industry (MOI) to facilitate collaborations between Singapore solution providers and Indonesian manufacturers. Enterprise Singapore invited Pumas Automation & Robotics to join the overseas MOI’s event InnoFest 2018 to pitch the benefits of the IIoT / SMART Manufacturing solutions during the talk show together with ABB and Schneider Electric. One of the valued manufacturing customers of Pumas Automation & Robotics had a great need for more transparency of the production process and real-time production information. Pumas got the opportunity to implement the solution Production Performance Manager based on the ANDON principles. In manufacturing ‘time is money’ and downtime even more. In competitive markets like the automotive it is important to shorten time-to-market, improve operational efficiency and optimize cost. Technology is one of the answers to keep at least a step ahead of competitor. One of our loyal customers in Indonesia took action and started to research what are the latest Smart Factory and Industrial Internet of Things (IIOT) has to offer. With that information the customers management team prepared the industrial automation roadmap. The first priority is to provide real-time and transparent production information to support the production, maintenance and quality departments. From that moment, the solution team of Pumas Indonesia came on board to offer consultation and translate the customer requirements into the solution concept. After the concept was accepted by customer, our Pumas solution team convert the functional concept into the system architecture with the selection of cutting-edge technology. The customer was satisfied and authorized Pumas Indonesia work from design phase into implementation phase.